In case the prospect of dying or similarities with cocaine didn’t suffice already, doctors have found another reason to maybe chill on the energy drinks: Have too many and you might destroy your liver, which is generally considered a good organ to not kill off. The link comes from a new case study in which a 50-year-old construction worker developed acute hepatitis after consuming four to five energy drinks every day over the course of three weeks. He started experiencing abdominal pain, nausea, and vomiting — the flu, he initially believed – but when dark urine, yellow eyes and skin, and anorexia joined his list of symptoms, he headed to the emergency room, where they explained he’d contracted a severe liver infection. The symptoms went away as soon as he quit his energy-drink bingeing. It’s actually the second time excessive energy drinks have been tied to liver failure. A 22-year-old woman who was otherwise healthy was diagnosed with acute hepatitis back in 2011 after she admitted she’d been on a ten-can-a-day kick for two weeks. 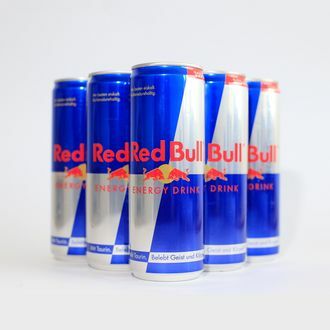 Energy drinks come packed with lots of dubious chemicals, but the doctors say it was probably the high niacin levels that did a number on both people, not stimulants like the caffeine. Whichever brand the construction worker preferred (the study doesn’t say), he was getting 200 percent of his daily recommended dose of niacin, a “known drug that can cause liver toxicity.” Consider this another reminder that while enough Red Bulls might ruin an organ, you can never go wrong with coffee, a bona fide miracle drug.